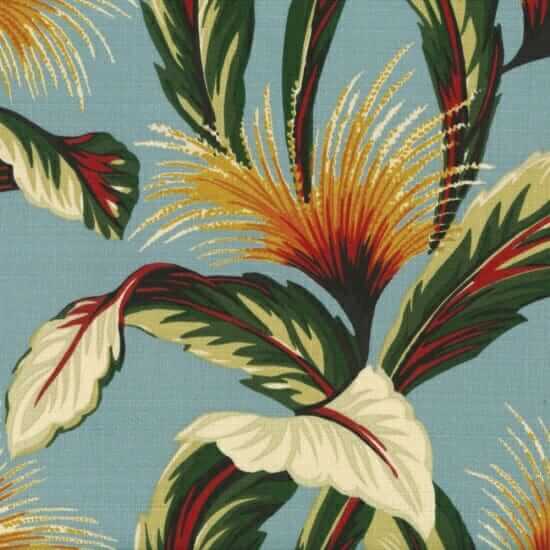 Barkcloth is a wonderful fabric for making curtains and pillows for midcentury homes and tropical home tiki bars too. In this update to my original 2011 story, I scanned anew for companies still making barkcloth today. Since 2011, we lost one beloved maker (Full Swing Textiles). Even so, today there seems to be more designs of barkcloth available than I can ever remember. In all, I count more than 150 different barkcloth fabrics on the market, from six companies, with mid century, contemporary, tropical and even googie designs. All things tropical — including tiki — are hot in the design world, and these rooms needs their barkcloth curtains and pillows! What distinguishes “barkcloth” from other fabrics: As I understand it, the colors are typically screen-printed onto ‘slubby’ or ‘nubbly’ cotton fabric that is typically fairly heavy weight (too heavy weight for apparel, for example). Even given the heavier weight, check manufacturers’ specifications regarding any given fabric’s applicability for upholstery vs. accessory uses like drapery and pillows. #1 Trendtex (Barkcloth Hawaii) — 106 barkcloth designs! 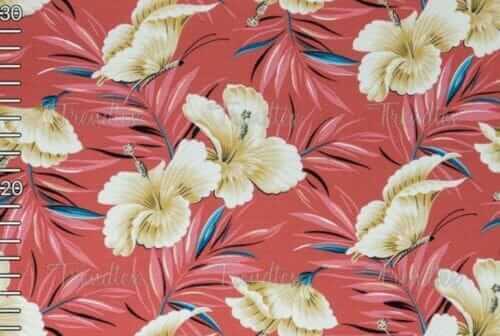 To be sure, Trendtex Fabrics out of Hawaii is the big manufacturer of tropical design barkcloth. As I write this story, they show 106 different barkcloth designs (available in various fabric constructions/weights). That’s a mighty selection! See all the Trendtex barkcloth options on their website HawaiiBarkcloth.com here. But wait! Diamondhead Fabrics is the U.S. mainland-based distributor for Trendtex barkcloth fabrics, and Diamondhead has some designs that Trendtex does not. And vice versa, that is: Trendtex also has many designs that Diamondhead does not. So it you want to be thorough, check the options in both places. I never said this was going to be easy. Update: As one reader pointed out, there are different weights — some may not have the heavy barkcloth nubbly feel you want. Order samples and/or talk to the retailer first before going big. Above: Here’s how Trendtex describes their different fabric types — but again, order samples first to ensure you know what you are getting is what you are expecting. Added to the list in March 2019: 11 screenprinted barkcloth designs by Hoffman California-International Fabrics. 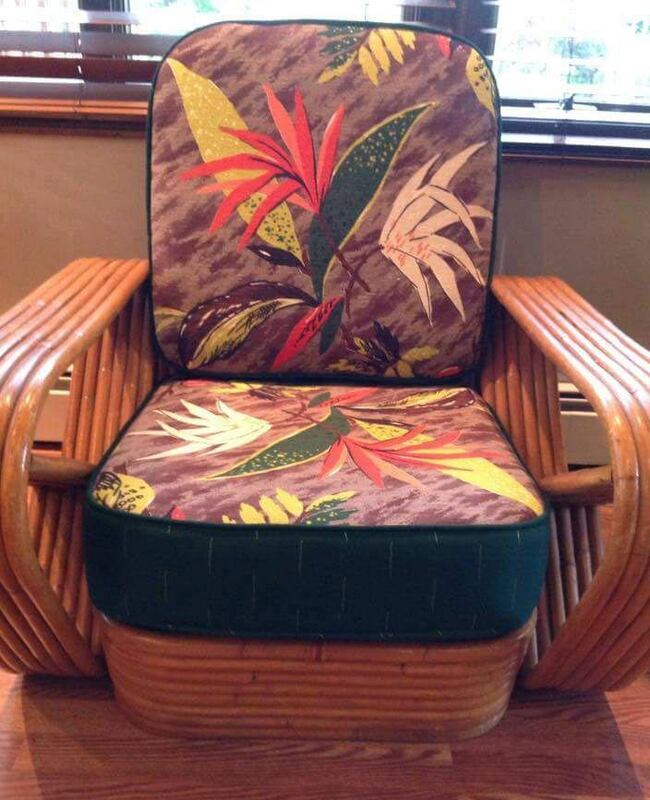 This includes eight tropical patterns and three retro googie patterns. These look very promising — I am going to contact the company to get samples to check them out first-hand. Wow: Hoffman Fabrics has been in business since 1924 — run by the same family. They are based in Mission Viejo, Calif. Note: This company is a manufacturer, see this page on where to find their fabrics retail. 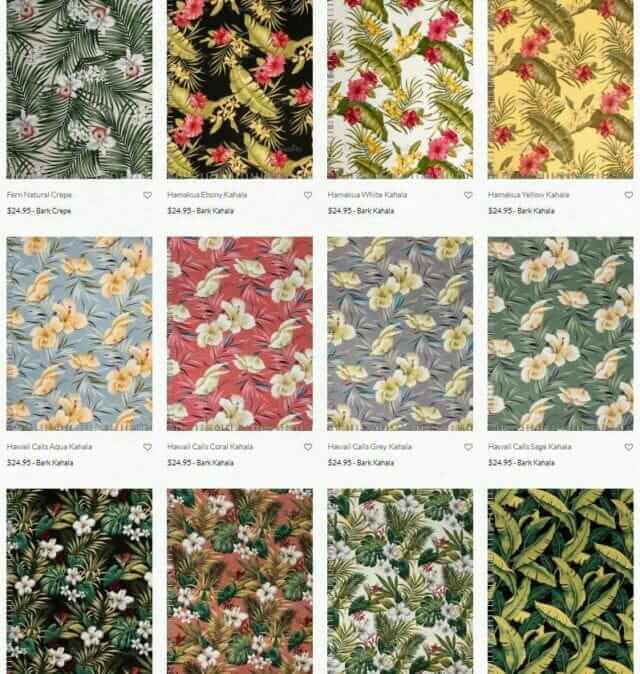 Updating this story I discovered this new line of Island Paradise Barkcloth by Sevenberry from Robert Kaufman Sevenberry — 22 designs in all, some available now and some coming to stores in April 2019. While I am not quire sure of the fabric composition — that is: Is it slubby enough to qualify as “barkcloth,” the patterns look quite nice. For more modern (rather than tropical) barkcloth designs, Cloud 9 Fabrics is the maker to watch. It seems like every year, one of their designers comes out with a new batch of designs. These collections are time-limited, so if you want ’em, nab ’em. Right now, it’s Homestyle by Eloise Renouf. 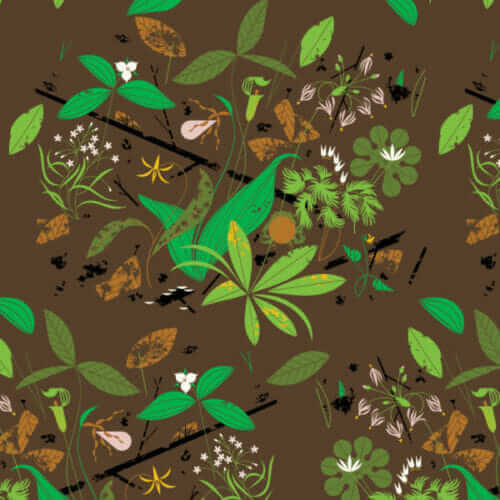 Update April 19 — I see that Birch Fabric will have 10 barkcloth designs featuring Charley Harper prints available in September 2019. 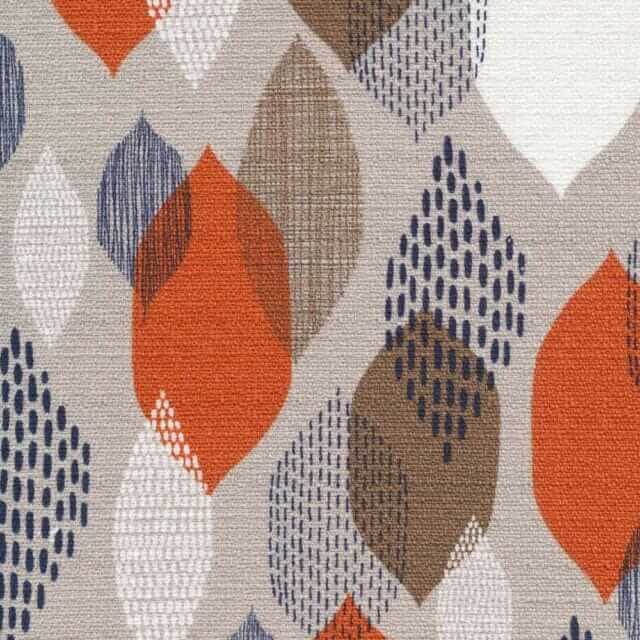 These are all mid century modern motifs. I like the idea of a few of them for woodsy paneled rooms, or maybe kitchen valences. Of course, when it comes to draperies… or for fabric for pillows… you also can put your vibes out there and wait for the retro decorating gods to send some vintage your way. Watch ebay, etsy, and of course my favorite: estate sales. (affiliate link) is a well-known collector of vintage barkcloth and has an amazing collection, for example. Know, though, that vintage barkcloth is super collectible these days. 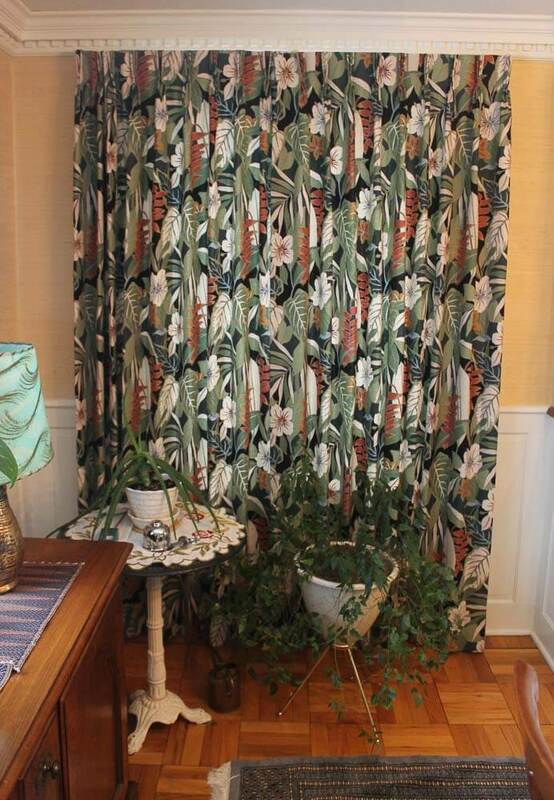 Pristine sets of vintage barkcloth curtains can cost a pretty penny! This story was updated from the original published in January 2011. The barkcloth pinch pleat draperies for my Mahalo Lounge home tiki bar are up! 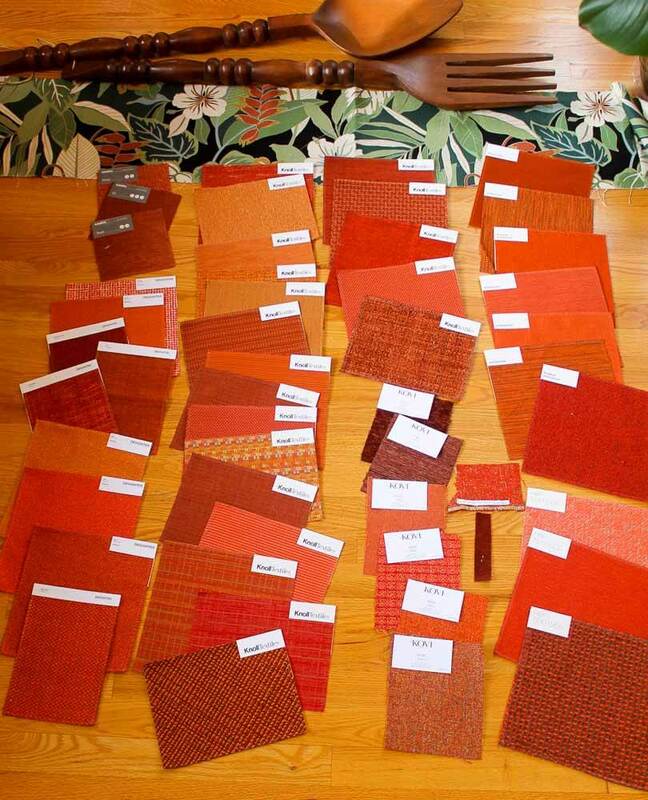 49 samples of orange upholstery for my new midcentury modern sectional — 7 finalists — which to choose? Can you use the Cloud 9 fabric as “wall paper”? I’ve never priced wallpaper so maybe fabric is too expensive as wallpaper? Hi K., there are methods to use fabric as wallpaper, but I would tend to think that, yes, it would/could be more expensive than just buying wallpaper. Wallpapers vary in costs, of course. I love barkcloth and buy vintage whenever I can afford it – not as often as I like. I have even bought barkcloth on padded window boards at garage sales and taken it apart to find something salvageable. I mix the patterns too – some are just valances, some are curtains, some are pillows etc. 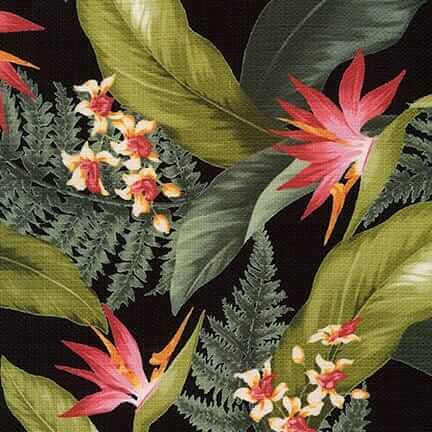 even though the are mixed I keep them all in the same theme like tropical for instance. My daughter-in-law has made me two purses out of my found barkcloth and they draw lots of comments. I would recommend ordering samples of any of these fabrics first. I ordered the Diamondhead ‘Daddy-O’ and it is not Barkcloth. They describe it as ‘Cotton Crepe’ If you are hoping for the real deal you might be disappointed. The Cloud 9 is closer to the real thing but not as sturdy as good old MelinaMade (RIP). There are different types of fabric: crepe, kahala, kapalua and cotton twill. I took the Daddy-O off the page because it’s crepe, like you said.